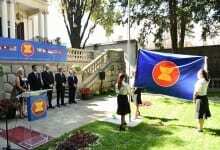 In conjunction with the ASEAN Day 2018 and to celebrate the 51st Anniversary of the formation of the Association of Southeast Asian Nations (ASEAN), a Flag Raising Ceremony was held on 8 August 2018 at the Embassy of the Republic of the Union of Myanmar in Belgrade. 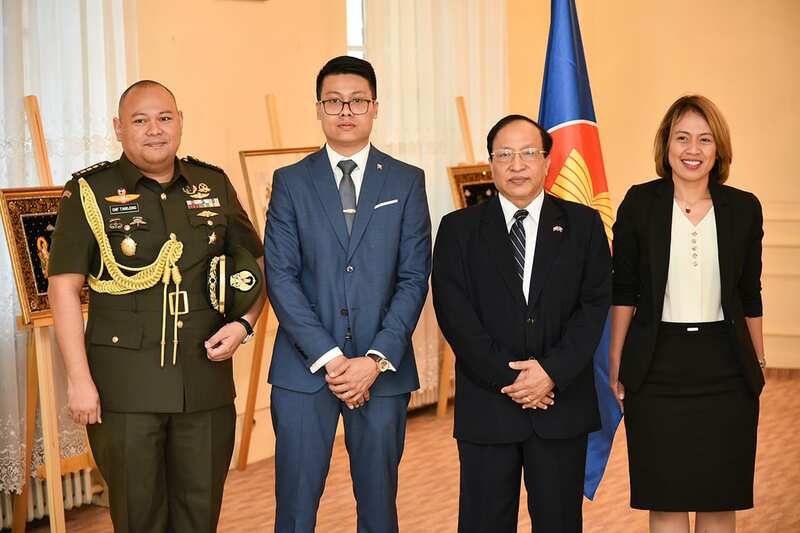 The event was co-hosted by the ASEAN Diplomatic Missions in Serbia, namely the Republic of Indonesia, Malaysia and the Republic of the Union of Myanmar. 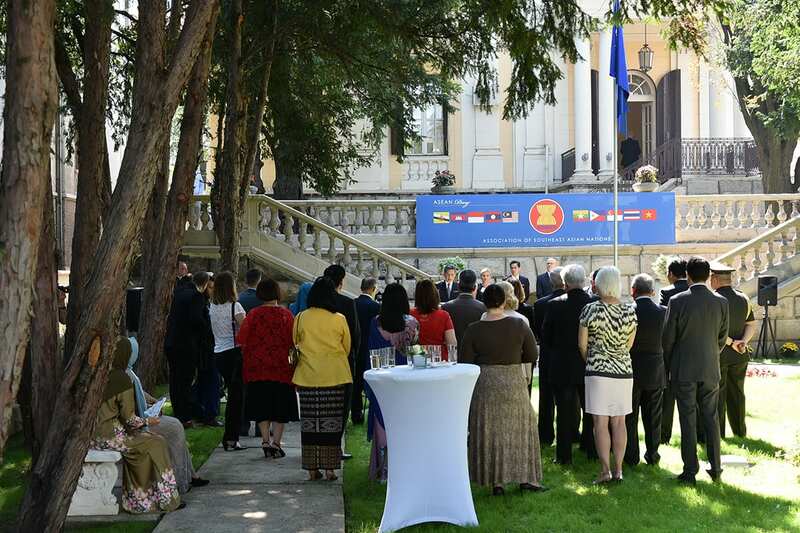 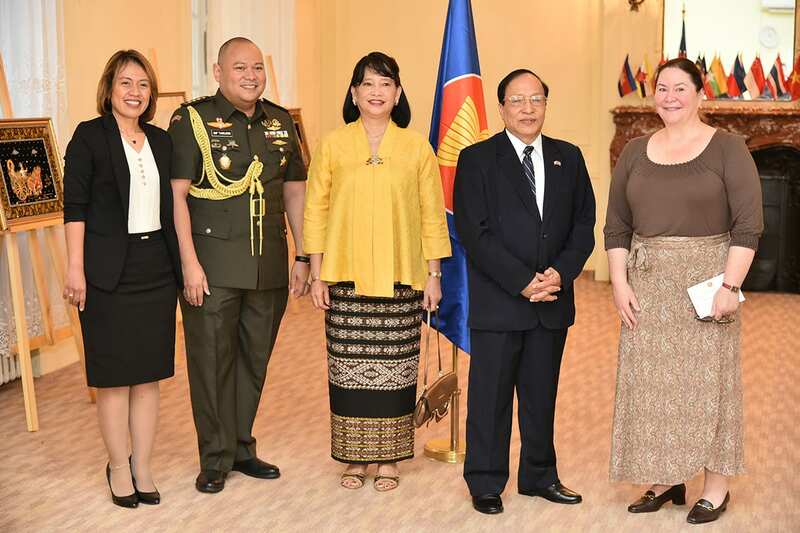 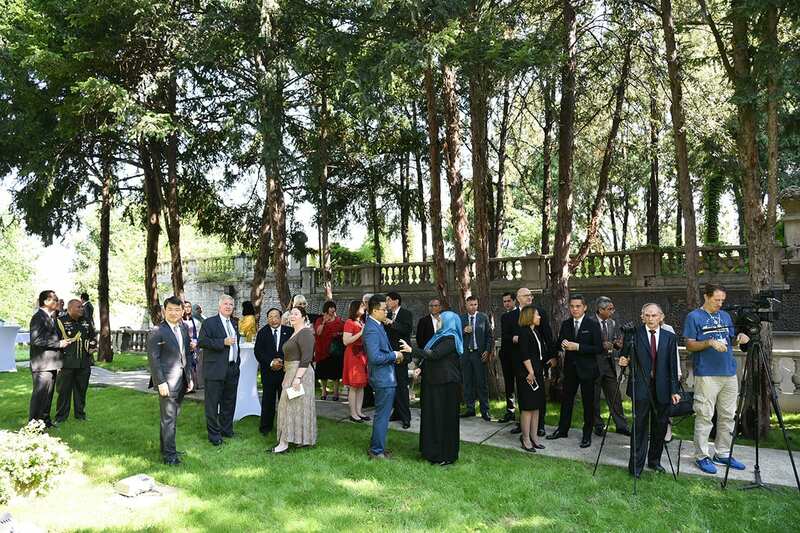 The solemn ceremony was attended by officials from the Ministry of Foreign Affairs of Serbia, Heads of Missions and representatives from the embassies of the Asia Pacific countries and ASEAN Dialogue Partners and international organizations’ offices based in Belgrade. 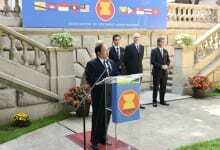 In his speech on behalf of the Heads of ASEAN Diplomatic Missions in Serbia, Ambassador of Indonesia H.E. 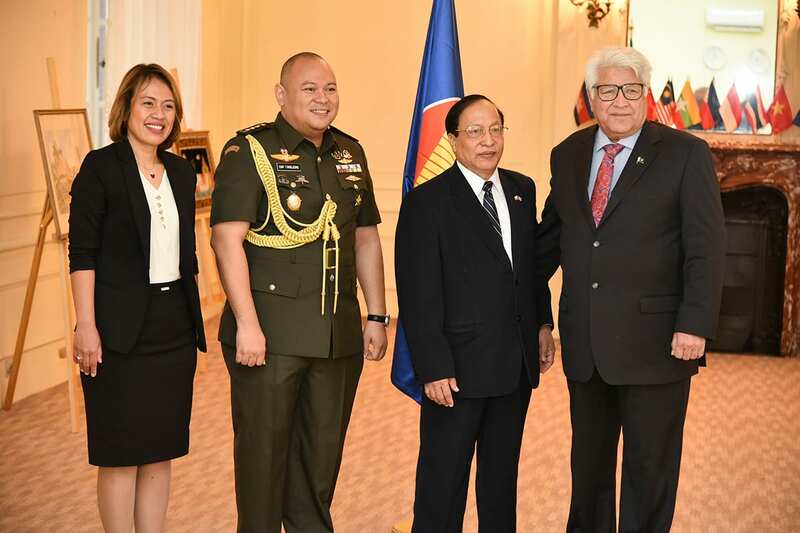 Harry Richard James Kandou highlighted ASEAN’s resolute in being resilience and innovative in managing challenges and seizing opportunities in the rapidly changing regional and global situation. 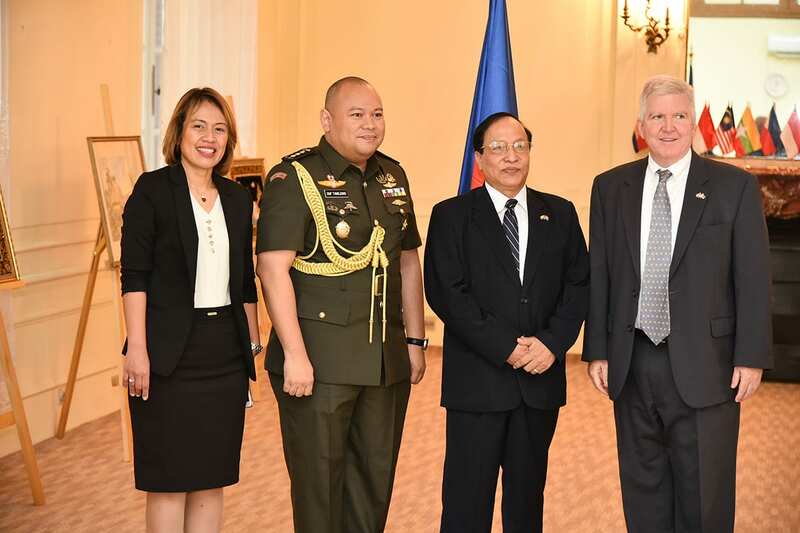 He further emphasised ASEAN’s readiness in enhancing cooperation with its dialogue and external partners through various ASEAN-led mechanisms. 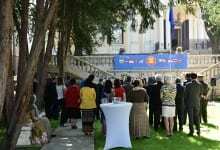 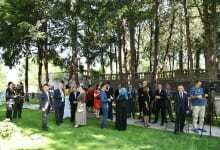 As the host for this year’s flag raising ceremony, Ambassador of Myanmar H.E. 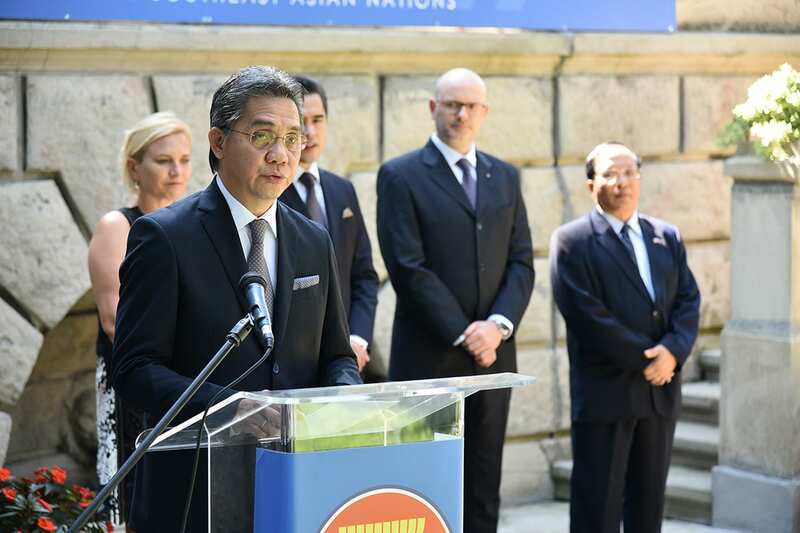 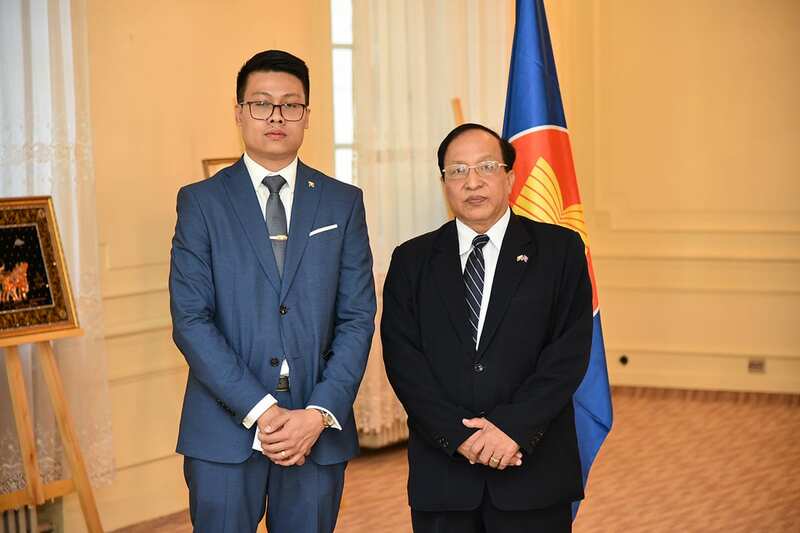 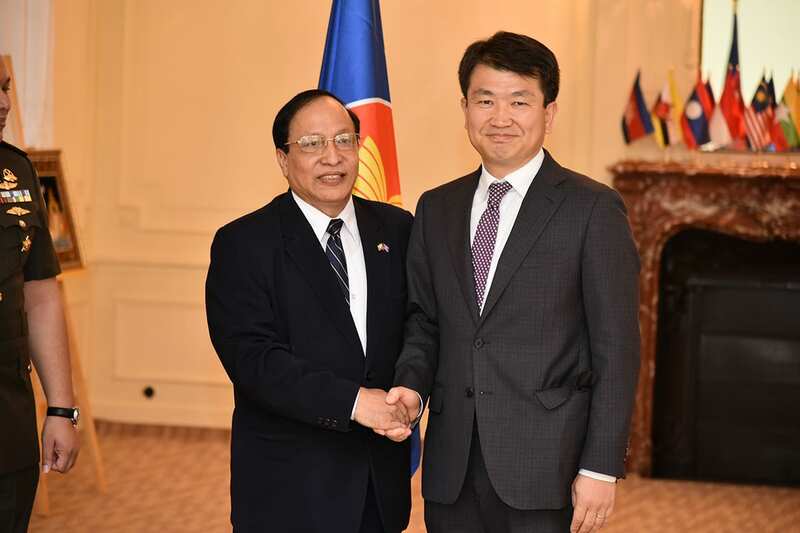 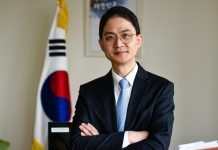 U Myo Aye expressed hopes that this annual commemoration of ASEAN Day in Belgrade would contribute in forging stronger ties and partnership between and among the ASEAN member countries, dialogue partners and external partners such as the Republic of Serbia in years to come. 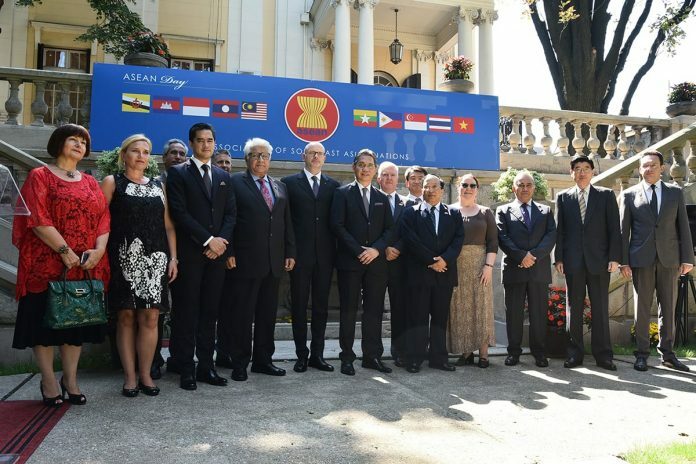 ASEAN was formed on 8 August 1967 by the five Founding Members (Indonesia, Malaysia, Philippines, Singapore and Thailand) with the aim of accelerating economic growth, social progress, sociocultural evolution and preserving the regional stability through enhanced intergovernmental cooperation among the member states. 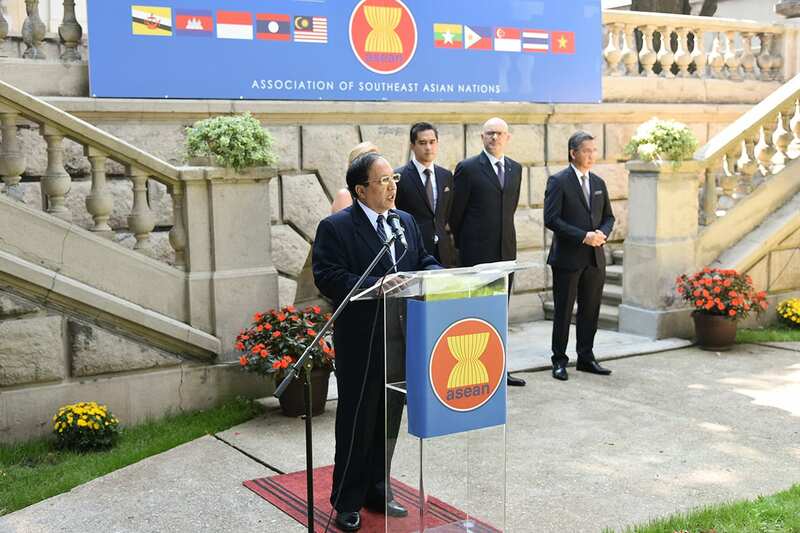 ASEAN has since evolved, expanded and matured into a ten-member state’s community, as it was subsequently joined by Brunei Darussalam, Vietnam, Lao PDR, Myanmar and Cambodia. 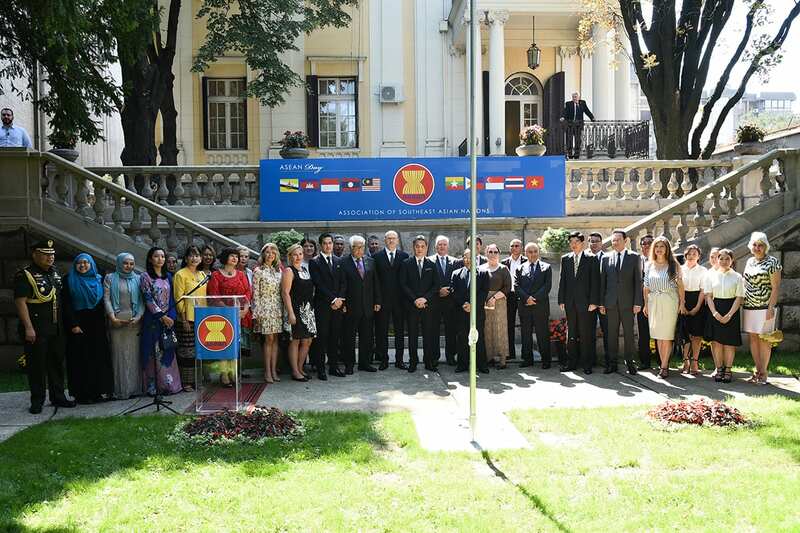 Fifty-one years after the establishment of ASEAN and three years after the formal launching of the ASEAN Community with the adoption of ASEAN 2025: Forging Ahead Together, ASEAN is well on its way to becoming a truly politically cohesive, economically integrated, socially responsible, rules-based, people-oriented, and people-centred Community.